The North Carolina Writers’ Network West and the Jackson County Public Library present A Day for Writers, a one-day writing conference for writers of fiction, nonfiction, poetry, children’s literature, and anyone who wants to publish their writing. The conference is held from 9AM-4:30PM on Saturday, May 6th in Sylva, North Carolina, just a short drive west of Asheville. Saturday, May 6th offers a full day of sessions, plus a panel. Read about the speakers and their sessions as well as the timeline of events. Speakers include myself, Terry Kay, Kathryn Stripling Byer, Catherine Carter, Deanna Klengel, Gary Carden, and more. I will present ‘Why Authors Need Bylines in Magazines, and How to Make That Happen.’ Authors are responsible for their own marketing, and part of that is building credibility. Authors who focus entirely on writing books miss out ways to reach new audiences for their books. 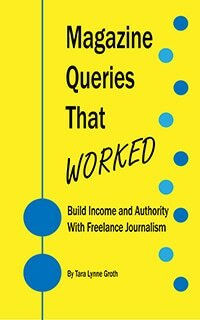 Freelance journalism is a writing opportunity authors already have the skills for. This session focuses on how an author’s bylines in magazines and newspapers can help attract literary agents, grow their writer platform, aid in book marketing, craft a perfect query letter, build authority, and produce income. Writers need not have prior freelance journalism experience to benefit from this session. At the end of the day I’ll speak on a publishing and marketing panel.